Swiss Alps Mining & Energy offers mining facilities in unused buildings in the Swiss alps, powered by renewable energy. 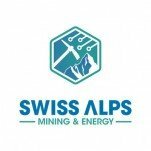 Swiss Alps Energy AG (SAE) is a distributed ledger-based energy supplier and an operator of flexible modular mining infrastructures that are intended for long-term stationary use. SAE ustilizes a smart modular cube system (SAM cubes) to build and implement prefabricated dust-protected mining components on-site. In addition to ventilation units, the SAM cubes operate an Organic Rankine Cycle (ORC) system. ORC systems use the waste heat of industrial processes (through a downstream steam power process) to generate electricity. The cubes are self-contained and operate autonomously. For extensive maintenance and monitoring, each cube communicates with the central management platform that monitors the cubes and assigns to each cube the optimal parameter to maximize mining efficiency. SAE will rent out entire cubes or individual mining capacities from the SAM Cubes. SAE will also give competitors and/or individual persons the possibility to rent mining facilities, and the power needed can be paid in SAM tokens. Development of SAM mining pool and SAM platform. Project identification processes and KYC. Purchase of first power plant. Commissioning and leasing of first cloud-mining cubes. Toga is a mining operation that aims to separate itself from the electicity costs. MinedBlock's aim is to redefine how customers can benefit from hosted mining services instead of the current hidden cloud mining offerings.